Unilet Sound & Vision plans second open day on September 18th | What Hi-Fi? PMC founder Peter Thomas will be on hand throughout the day to demonstrate the three new products. In addition to launching the two Signature models, the AML2 active studio monitors will be demonstrated in a 5.1 configuration as part of a "thrilling" 3D TV demo. For those who desire something a little larger, there'll be hourly demonstrations of the no-compromise PMC BB5 XBD reference speakers, which stand more than two metres tall and weigh 136Kg each! The £58,000, 10 kilowatt BB5 XBD-Active uses Bryston's heavily modified, ultra-low distortion SST2 power amplifiers and is used in the production of many Hollywood film scores. Visitors will also get the chance to sample "gourmet foods and exclusive wines" courtesy of Wimbledon Wine Cellar and see rare rock memorabilia photographs by Ross Halfin. There'll be "great offers" on all PMC and Bryston products throughout the day, and a competition with prizes including PMC goody bags and, for one lucky winner, a first prize of a personal guided tour of Metropolis Studios in London. The second Unilet/PMC open day will run from 10am to 5pm on September 18th 2010 at 35 High Street, New Malden, Surrey KT3 4BY. 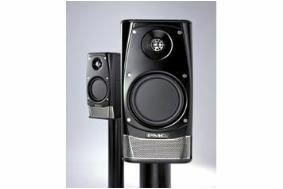 More details can be found on the Unilet website or at www.pmc-speakers.com. Unilet ran its traditional summer Xpo extravanganza back in July.